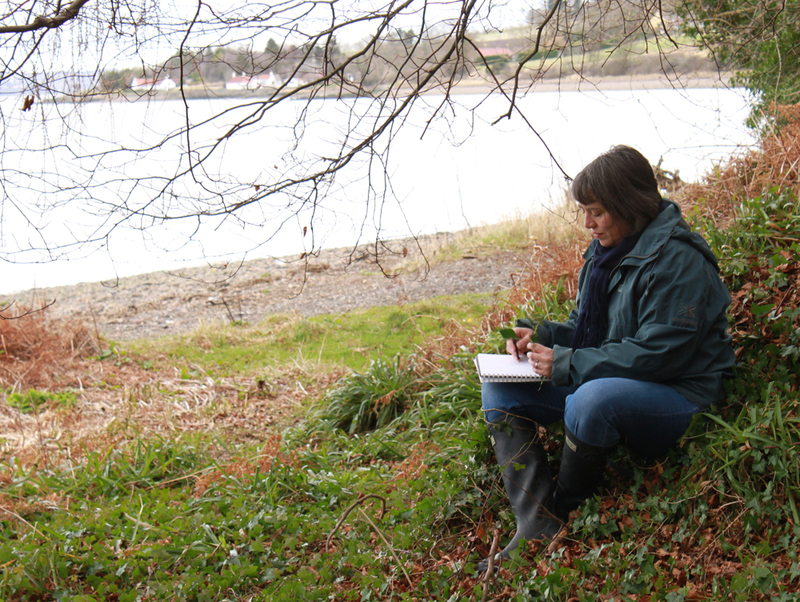 KIRSTY LORENZ began a project in in 2013, ‘Votive Offerings’, a series of paintings of posies made from wild flowers gathered at Balmerino Woods. 'Votive Offering No 67' is shown above. Balmerino had a Cistercian monastic community founded in approx 1227 by monks from Melrose Abbey. It still had approximately 20 monks at the beginning of the sixteenth century, but declined in that century. This inspired the use of strong blues and gold in some of this series of paintings. 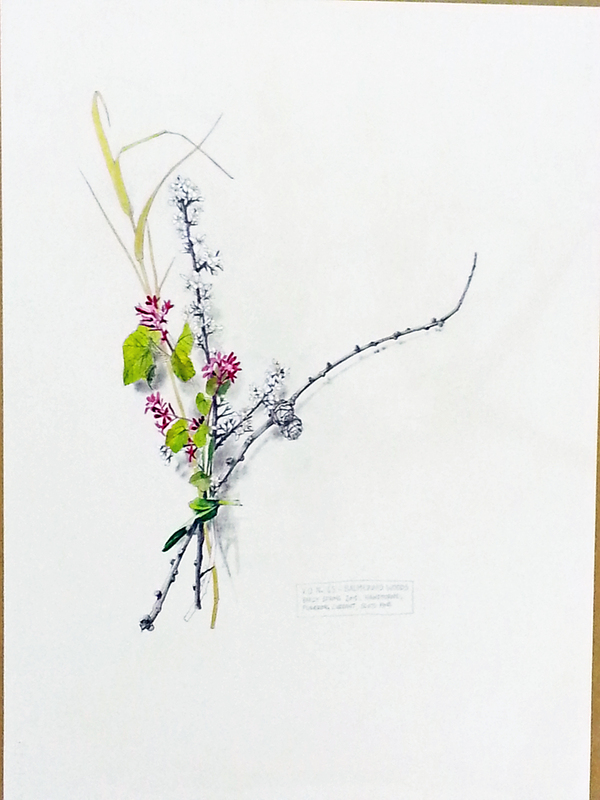 The paintings are created with watercolour, acrylic, gouache and graphite on paper. We are delighted to include a number in our current Spring Exhibition. The artist has written a fascinating blog about how she works, describing the development of one particular painting, 'Votive Offering No 65', that we currently have on show. Balmerino woods are on the edge of the Tay, opposite the city of Dundee. 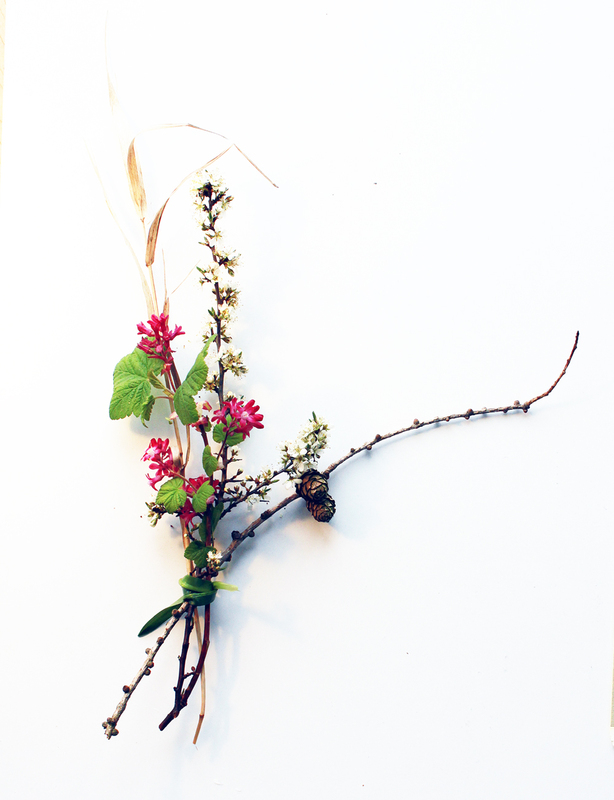 It is a special place and has beautiful spring flowers that inspired me to make a series of ‘Votive Offerings’ there. 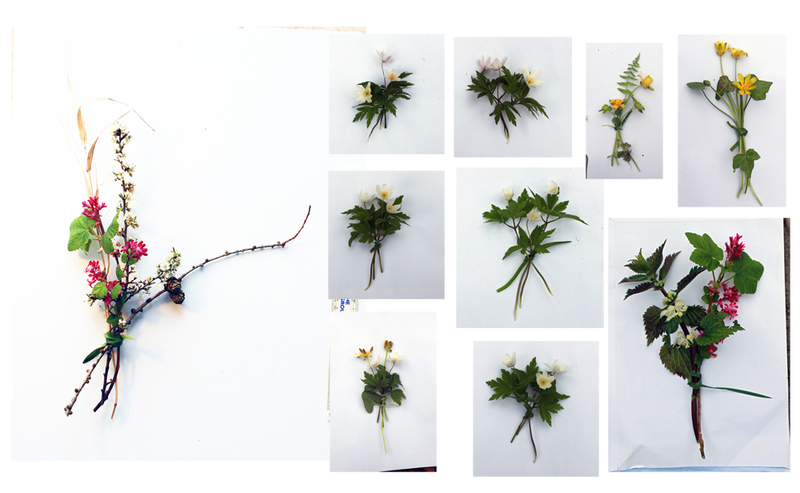 The top photograph shows the whole series of posies I made, and left there. 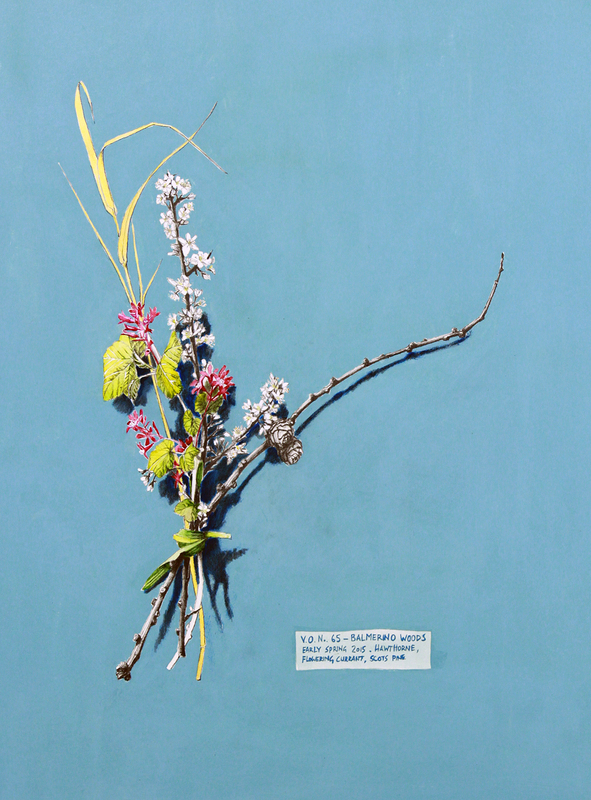 ‘Votive Offering No.65’ is one of these, it is a depiction of this posy of Flowering Currant, Hawthorne Blossom, Scots Pine and a blade of grass. Working from this photograph I then created the painting at my studio,firstly working in graphite and watercolour onto stretched hot pressed watercolour paper. I then brought in acrylic paint for the gold of the grass and the opaque blue background, before working up further layers of watercolour glazes to create depth and detail. I particularly liked the way the twig of pine with it’s cone worked in graphite so I have left that unpainted. 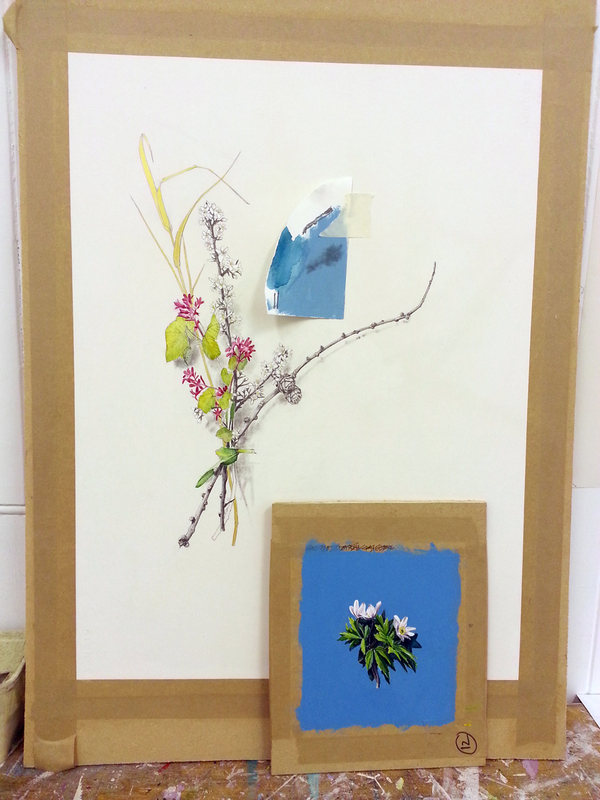 You can see in the images below how the artwork evolved to the finished piece. This painting is in the Spring Exhibition until 30th April alongside other Balmerino ‘Votive Offerings’.